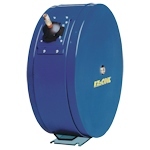 Extends hose life by offering resistance to kinking and cover abrasion. 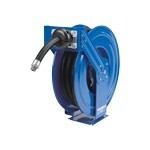 Protective wrap may also be used for the bundling of hose lines for easier handling. Sold per foot. Maximum continuous length is 50 feet. The proven way to protect hose, wire and cable against chaffing, rubbing, crushing, ultraviolet exposure and other environmental factors which contribute to premature failure.